Love this Fendi Mania Unisex Mini Me Black Sweatshirt Black Jersey Trousers. 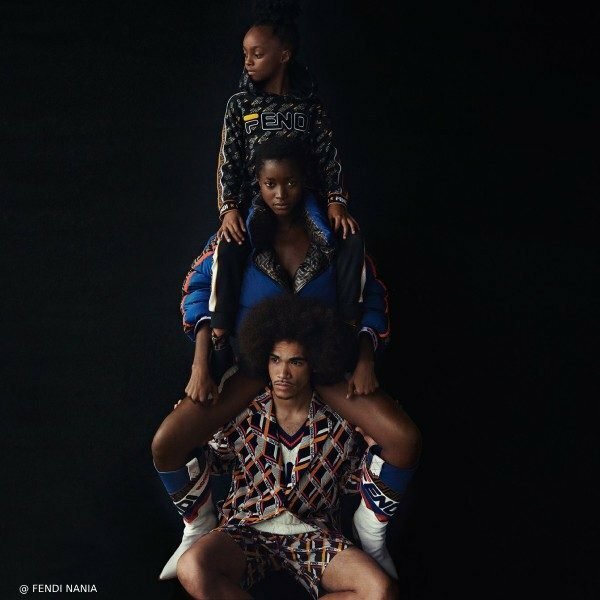 Adorable streetwear fashion for boys and girls inspired by the Fendi Mania Adult Fall Winter 2018 Capsule Collection. Super cool black sweatshirt with Fendi Mania logo looks perfect with a pair of luxury black blue joggers for boys and girls by Fendi Mania. Designed in collaboration with sportswear brand Fila, these cropped scuba trousers are soft and stretchy, with an elasticated waistband and embroidered logo tape down the sides. Complete the look with a pair of Fendi Mania Kids Unisex Black Mesh Sneakers.